Give your confidence a boost, master your resources, and raise your self-awareness with proven psychological strategies and expert advice. From positive thinking to work-life balance to learning how to say no, the lessons learned from this guide are tailored to your personal situation through questionnaires and self-analysis exercises. DK's trademark straightforward style makes the information comprehensible, and quick, practical pointers enable you to apply techniques immediately. 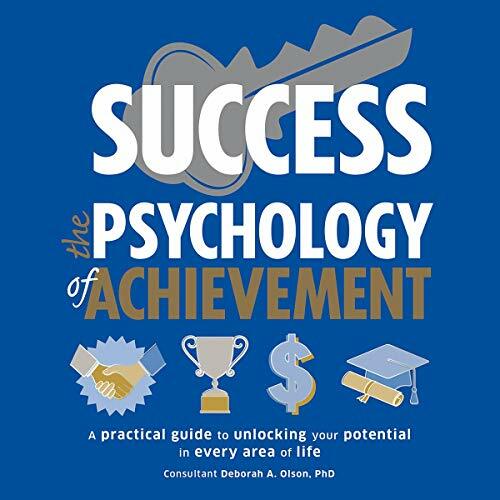 Grounded in scientific study, psychological expertise, and practical advice, Success: The Psychology of Achievement can help you improve your effectiveness and transform your future. I loved the information within this work. It was presented very well and delivered directly without any fluff. I gave the story 4 stars due to the fact the information was so direct I found myself having to rewind a lot to make sure I was taking the correct interpretation.